Bars , bobbins , suggestions please. Collecting a red XR SE early next week and just wondering what other members had decided to do re adding bars or bobbins, sliders etc. It does seem sensible to look at some sort of anti crash/drop protection but don't want to add a lot of weight or add anything that would look out of place. Would really appreciate any help on this one. Re: Bars , bobbins , suggestions please. I got the HP engine guards when I got the bike, but have since fitted the r&g bungs, as they will do a better job if it goes down. Thank you for that. Am very happy if bungs will do a better job , more discrete too. I've fitted R&G crash bobbins. One on each side panel, bar end bobbins and front for bobbins. Very good quality, look the part and took less than half an hour to fit the lot. Thank you folks that seems to be the answer. Just to throw another option into the mix, I've fitted SW Motech sliders and case protectors. 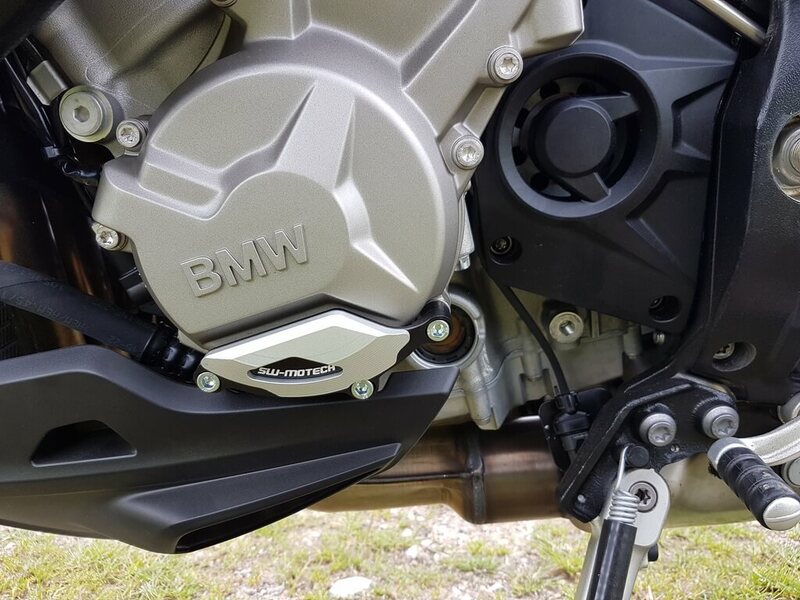 The Motech sliders fit to a bar you bolt to the engine so not just relying on one bolt in the event of a spill, the case protectors are very similar to OEM ones (listed for S1000RR but exactly the same). The bar is a bit fiddly to fit (I have sausage fingers) but you only do it once. Personal preference I guess. It's getting somewhat more difficult, especially as it's difficult to get decent images of bikes with different option's. I've got Evotech crash bungs - don't like the R+G aero shape - the Evotech are uniformly circular. And I put some swing arm/paddock stand bobbins that I took off my RR. Discrete, and a bit of added protection in the event of a spill. Would this help ? I can post more. Thank you. Will that keep the plastics off the deck if the bike goes over. I think I assumed the Motech bobbins would be higher up the bike.